The Government of Luxembourg ordered two Airbus H145M multipurpose helicopters, which are to be delivered before the end of 2019. Scheduled to enter service at the beginning of 2020, the helicopters will be used for defence and security missions, operating out of Luxembourg Findel Airport. With a maximum take-off weight of 3.7 tonnes, Airbus explains the H145M can be used for a range of tasks, including troop and passenger transport, surveillance, air rescue, reconnaissance and medical evacuation. 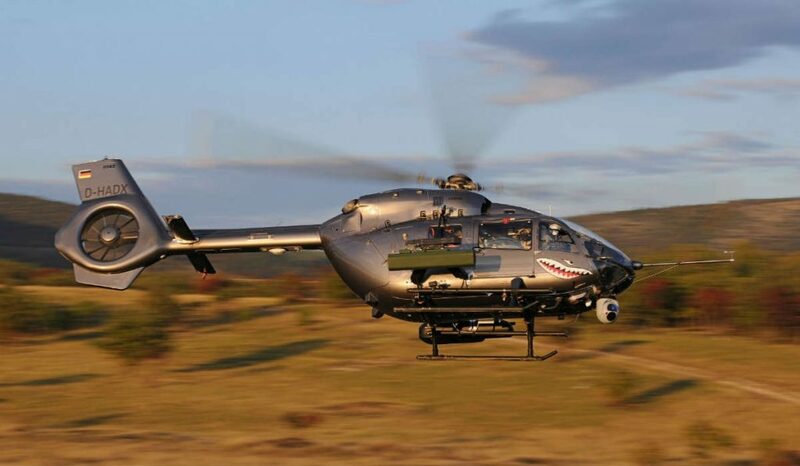 The helicopters will be equipped with a hoist, fast-roping system, high-performance camera, search light and advanced communication systems, as well as provisions to install a light armour protection kit. The H145M is a light twin-engine helicopter first delivered in 2015 to the German Armed Forces. It has since been ordered by Hungary, Thailand and the Republic of Serbia. Mission readiness of the H145Ms already in service, according to Airbus, is above 95 percent. Powered by two Safran Arriel 2E engines, the H145M is equipped with full authority digital engine control (FADEC) and the Helionix digital avionics suite. It includes a 4-axis autopilot system and what Airbus describes as a particularly low acoustic footprint.